There is hardly any other place in Berlin where so much history, present day life and future desire is as palpable as on Werdersche Markt. 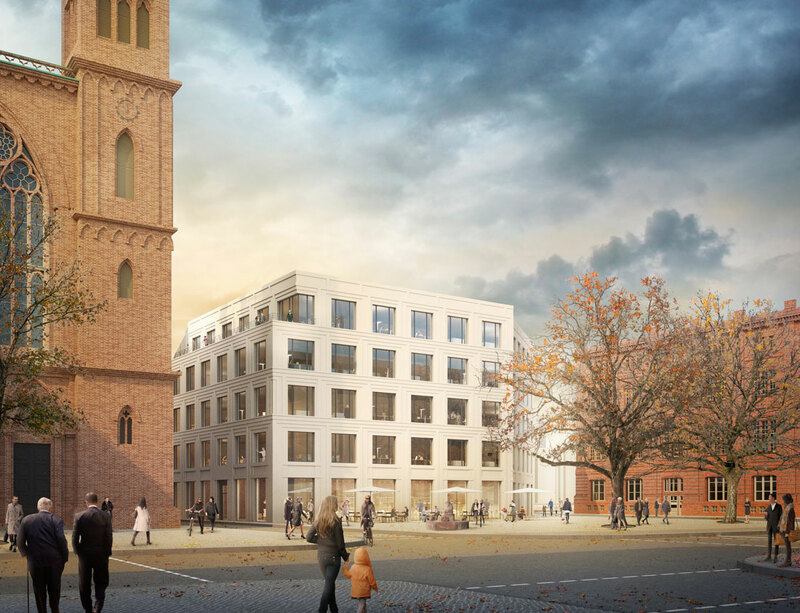 With modest restraint, the development of the Werder market, which was characterized by Schinkel and the Department of Foreign Affairs, is now to be completed. 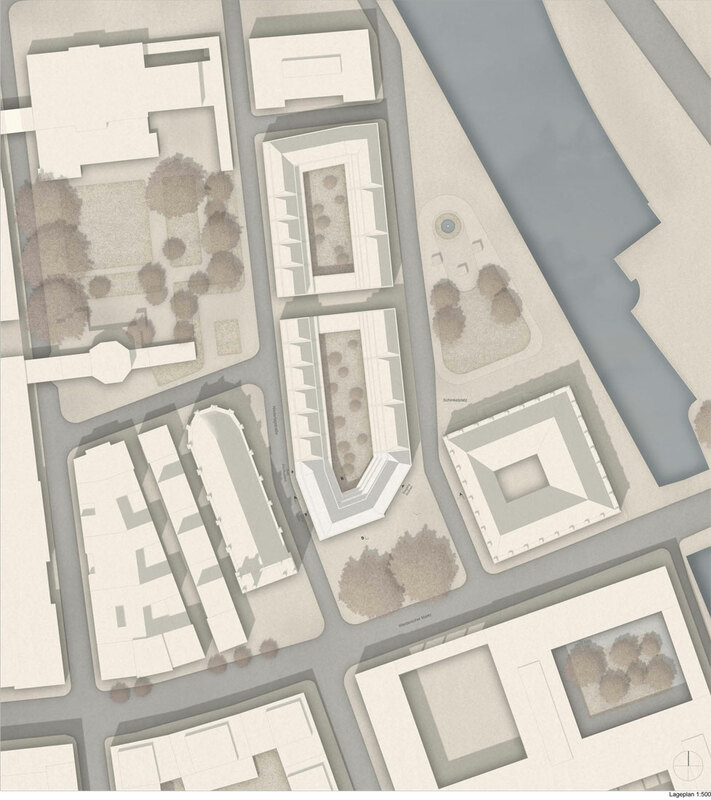 The houses at the Friedrichwerder are being developed as individual, representative city chateaus and form a harmonious unit in their diversity, guided by the master plan. 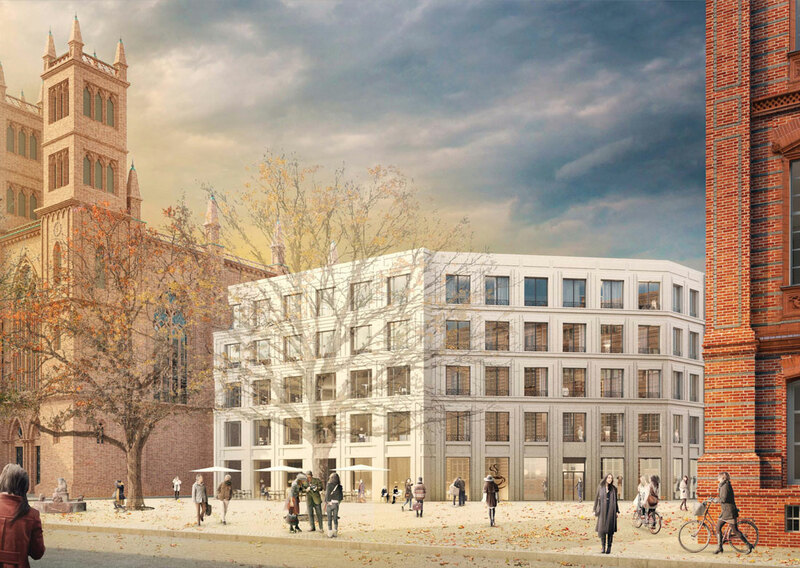 The head building on the Werdersche Markt is the southern capstone or starting point for this new district, while fitting into the historical context. The two building parts of the head building, an office building and residential building, form a unit, although the facades have different window formats. They are each equipped with independent entrances and vertical circulation cores. The western part is designed as an office building. 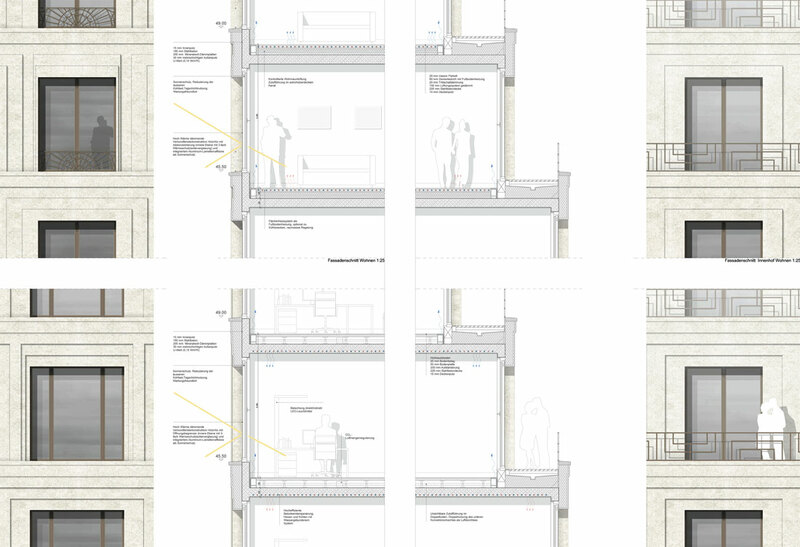 The floors can be used individually or flexibly combined over several stories. The western part of the building is intended as a residential building with the entrance on the main façade, which faces the building academy. The storey heights of both buildings are identical, so that a connection between both parts is possible. A connection to the higher courtyard area is also possible through the entrance of the residential building. A delicate façade relief staggered in depth divides the closed plaster surfaces and reveals a tectonic play of light and shadow on the well-proportioned perforated façade. Where the same window formats are used, the plaster relief changes to have different widths, so that the calm perforated facade is contrasted by the playful momentum of the surface.